Create your own HP Designjet 5000 inkjet pack / bundle with our flexible quantity discount pricing. Mix and match products so you are only purchasing what you need, but also maximizing your savings. Remanufactured Cyan Ink Cartridge with 1,000 high capacity page yield. Equivalent to HP part number(s): HP 83 Cyan, C4941A. Fits the following model(s): HP 5000, HP 5000ps. 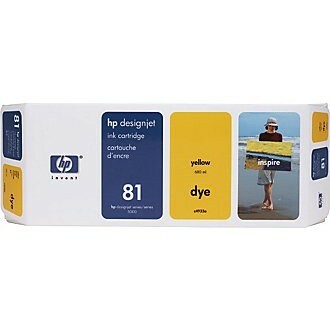 Remanufactured Cyan Ink Cartridge with 1,000 high capacity page yield. Equivalent to HP part number(s): HP 81 Cyan, C4931A. Fits the following model(s): HP 5000, HP 5000ps. 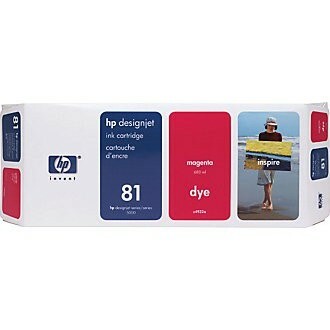 Remanufactured Magenta Ink Cartridge with 1,000 high capacity page yield. Equivalent to HP part number(s): HP 83 Magenta, C4942A. Fits the following model(s): HP 5000, HP 5000ps. Remanufactured Magenta Ink Cartridge with 1,000 high capacity page yield. Equivalent to HP part number(s): HP 81 Magenta, C4932A. Fits the following model(s): HP 5000, HP 5000ps. Remanufactured Yellow Ink Cartridge with 1,000 high capacity page yield. Equivalent to HP part number(s): HP 83 Yellow, C4943A. Fits the following model(s): HP 5000, HP 5000ps. Remanufactured Yellow Ink Cartridge with 1,000 high capacity page yield. Equivalent to HP part number(s): HP 81 Yellow, C4933A. Fits the following model(s): HP 5000, HP 5000ps. Remanufactured Black Ink Cartridge with 1,000 high capacity page yield. Equivalent to HP part number(s): HP 83 Black, C4940A. Fits the following model(s): HP 5000, HP 5000ps. Remanufactured Black Ink Cartridge with 1,000 high capacity page yield. Equivalent to HP part number(s): HP 81 Black, C4930A. Fits the following model(s): HP 5000, HP 5000ps. 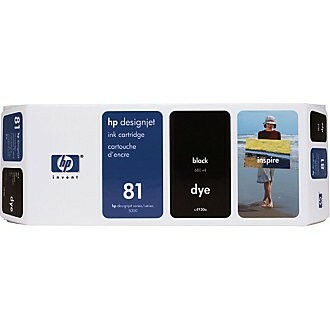 Remanufactured Light Cyan Ink Cartridge with 1,000 high capacity page yield. Equivalent to HP part number(s): HP 83 Light Cyan, C4944A. Fits the following model(s): HP 5000, HP 5000ps. Remanufactured Light Cyan Ink Cartridge with 1,000 high capacity page yield. Equivalent to HP part number(s): HP 81 Light Cyan, C4934A. Fits the following model(s): HP 5000, HP 5000ps. 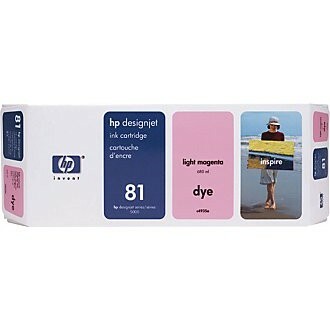 Remanufactured Light Magenta Ink Cartridge with 1,000 high capacity page yield. Equivalent to HP part number(s): HP 83 Light Magenta, C4945A. Fits the following model(s): HP 5000, HP 5000ps. Remanufactured Light Magenta Ink Cartridge with 1,000 high capacity page yield. Equivalent to HP part number(s): HP 81 Light Magenta, C4935A. Fits the following model(s): HP 5000, HP 5000ps. Buy our high quality compatible ink for HP Designjet 5000 with confidence. Join thousands of happy customers who have found our compatible products are equivalent in page yield and print quality. For our compatible products, we offer a 100% Satisfaction Guarantee allowing you to return products within 6 months if you are unsatisfied. 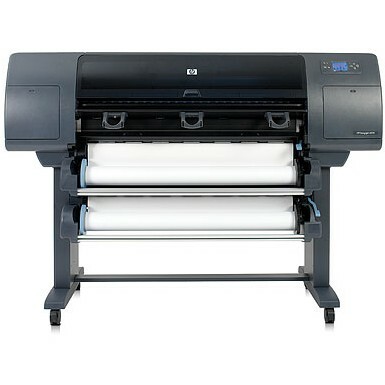 The HP DesignJet 5000 and 5000ps are wide-format printers that are designed to provide the professional offices of architects, graphic designers and photographers a solution to printing large graphics and photos. Expert reviewers were impressed with its quick speeds of up to 569 square feet per hour. Presenting a wide color gamut, thanks to the DesignJet 5000 printer ink system, as well as superior printing detail and flexible media handling, the 5000 is one of the top picks in its class of 42-inch inkjet printers. 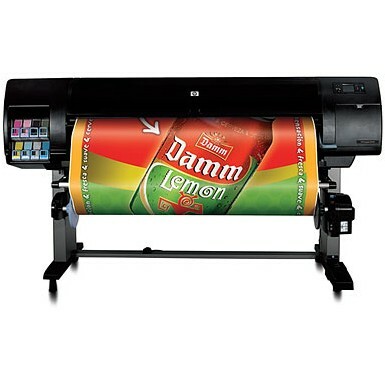 The device can accept a wide range of media types like heavy weight coated paper, photo imaging glossy paper, studio canvas and poster paper, which will allow it to handle large full-color photographs, blueprints and poster presentations. The 5000's single roll feed input option can support media with a maximum width of 42 inches and a maximum length of 300 feet. In addition to its basic parallel port that may require an adapter for modern computers, the device also includes an ethernet port for accessing and printing documents from the office network. Offices with frequent daily projects will be supported by the 5000 since it can handle an average of 20 to 30 prints per day and a maximum of 100 prints per day. Users will also have the option to upgrade the built-in RAM of 128 MB to a maximum of 256 MB if large projects are experiencing slowdowns. The 5000 comes with Zoomsmart technology for enlarging the original size of photos, as well as Virtual Computer technology for processing the next job while the current one is printing. The device is most efficient at printing photos and graphics, with a professional-quality resolution of 1200x600 dpi when using black HP 5000 printer ink. < br> The unit uses a 6-color DesignJet 5000 ink system, which includes cyan, magenta, yellow, light cyan, light magenta. The HP 5000 ink cartridges can be replaced with standard supplies with yields of 1,000 pages each. Users can also purchase high-capacity replacements that can yield up to 1,312 pages for each HP 5000 ink cartridge. The 5000 has the ability printing a range of documents, from small lab-quality photos to large architectural blueprints. With its quick wide-format printing, flexible media handling and expandable features, this professional-grade inkjet printer is one of the top picks in its class.